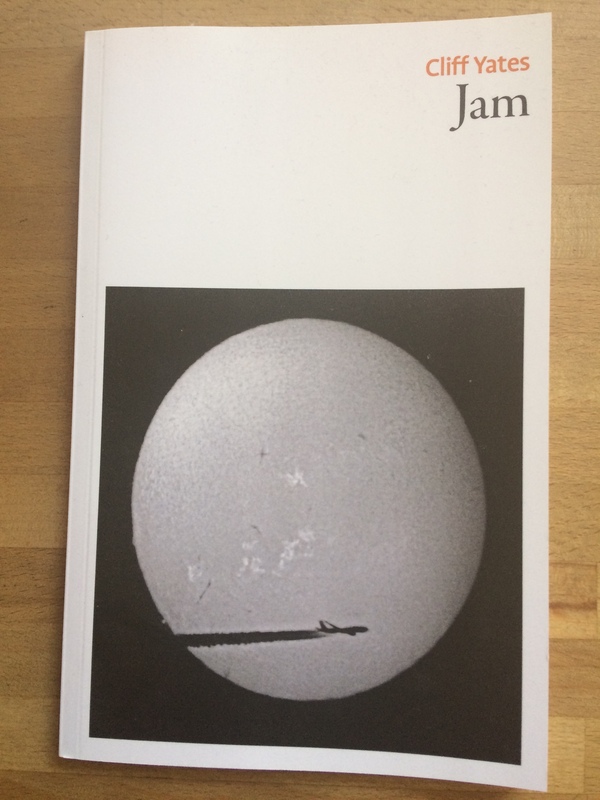 Jam (Smith/Doorstop, 2016) which received an Arts Council England Grant for the Arts. Available here. 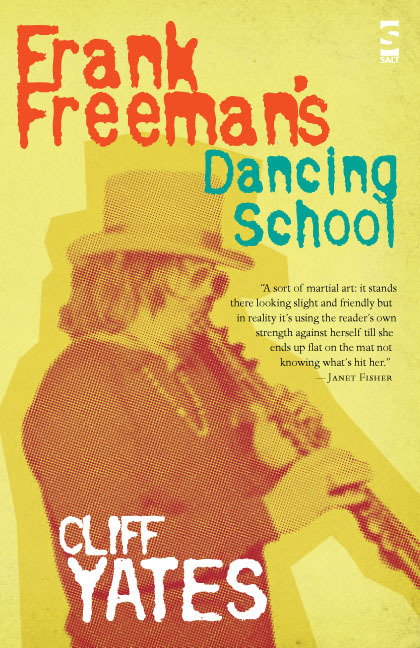 Frank Freeman’s Dancing School, revised edition (Knives, Forks & Spoons Press, 2015) which received an Arts Council England Writer’s Award. Available here. See below for first edition. 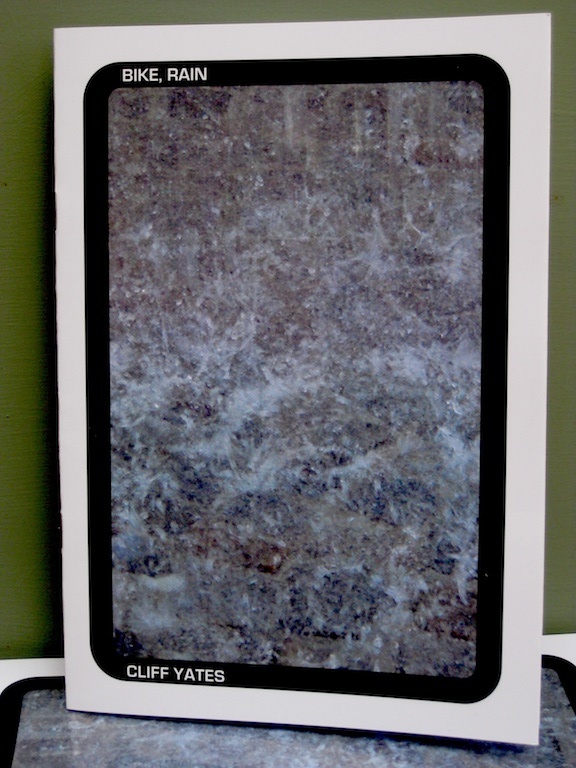 Selected Poems ebook (Smith/Doorstop, 2014). Brings together poems from Henry’s Clock, Frank Freeman’s Dancing School and Bike, Rain, many of them revised. Available here. Bike, Rain (Knives Forks and Spoons Press, 2013). Available here. ‘Yates is an absolute master… he stretches and dares you to properly understand what you are reading. He makes you want to read and re-read his work.…. Technically stunning and always there are more questions than answers’ – Steve Anderson, New Hope International. ‘Philosophy runs smudged into daily life…he offers us the surprise born of unconstrained freedom….that combination of precision with the seemingly random that gives this short collection such expansive range’ – Ben Felsenburg, Incwriters. ‘If you like poetry firmly rooted in the real world, the everyday, this is not the book for you. You will be seduced into thinking it is, because everyday situations seem to be what is being described, but you will soon find that prisms and mirrors, flashbacks and flash-forwards, parallel universes etc. come into play. You are never where you think you are, which for me is one of the purposes of poetry’ – Lyn Moir, Sphinx Chapbook Review Magazine. Henry’s Clock (Smith/Doorstop, 1999) which received the Aldeburgh First Collection Prize and won the Poetry Business book & pamphlet competition. Available here. Jumpstart Poetry in the Secondary School (Poetry Society 1999, 2004). Written for those working in secondary schools, this handbook has been used successfully by teachers and writers working at all levels, including with primary school children and with experienced and inexperienced adult writers. Available here. “Jumpstart is the best aid to the teaching of poetry since Sandy Brownjohn’s work of the 1980s” – Gordon Wilson in The Teacher. “Jumpstart is a classic of its kind: inventive, inspiring and instructive” – Andrew Motion. 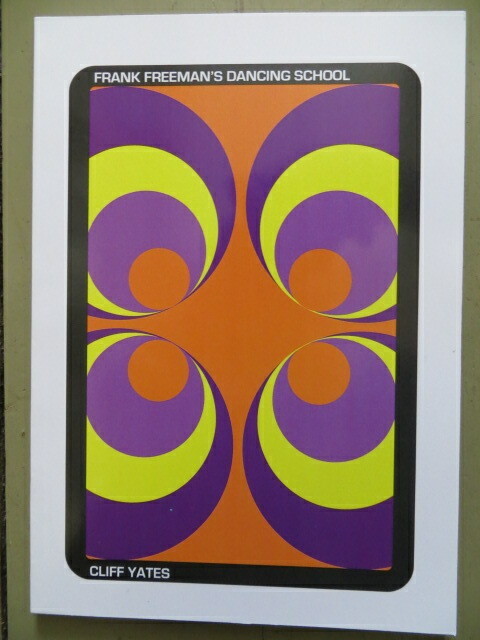 Oranges: Poems from Maharishi School, ed. 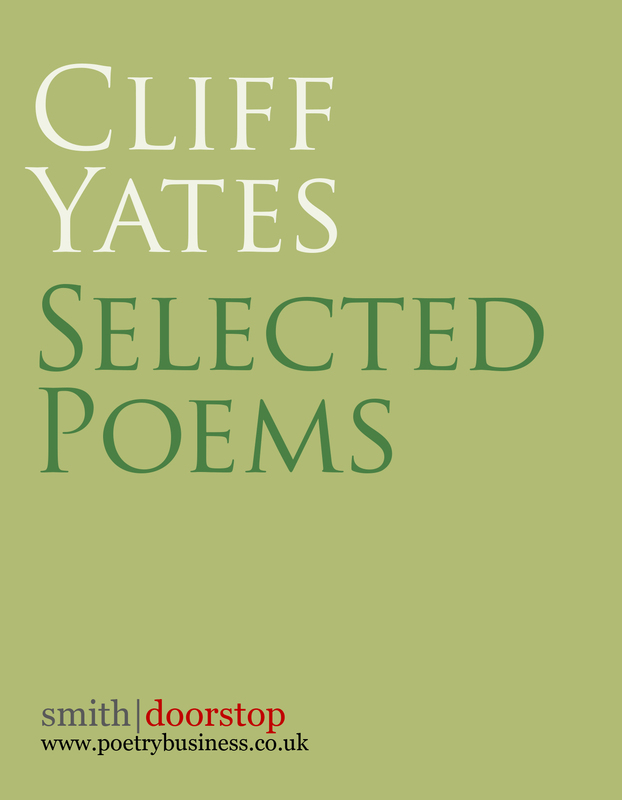 Cliff Yates, foreword by Andrew Motion (Maharishi School Press, 2001) a Times Educational Supplement ‘Book of the Week’. ‘The poems in this book are of an astonishingly high standard…at least two of the poets here are distinctive enough to warrant books of their own. This is where the difference is made between these pieces and poems produced in hundreds of one-off workshops with poets…few teachers or pupils have the breadth of reading to know when a poem is made better by a particular adjustment, and the editing skills to know how to make those changes’ – Siân Hughes, Times Educational Supplement. The North, The Rialto, PN Review, Stand, London Magazine, International Times, Morning Star, Smith’s Knoll, Great Works, Ink Sweat and Tears, And Other Poems, Cake, Dog, The Echo Room, Foolscap, Gists and Piths, Harry’s Hand, Iron, Antiphon, Liar Republic, Molly Bloom, NATE News, Neon Highway, New Generation, Orbis, Outposts, Oxford Magazine, Pages, Peggy’s Blue Skylight, Poetry News (Poetry Society), Scratch, Seam, Smoke, Stride Magazine, Sunk Island Review, Tears in the Fence, The Echo Room, The Slab, Times Educational Supplement, Uncompromising Positions, Under the Radar, The Wide Skirt. ‘Inspiring Young People to Write Poems’ in Making Poetry Happen: Transforming the Poetry Classroom edited by Sue Dymoke, Anthony Wilson, Andrew Lambirth and Myra Barrs. (Bloomsbury, 2015). English in Education, Writing in Education, Arvon Journal, Secondary English Magazine, Times Educational Supplement (including ‘Poems for Refugees’ feature May-July 2002 & Guest Poet for TES Young Poet, autumn term 1999), Launch into Poetry: Lesson Plans for Secondary School Members (Poetry Society), Poetry Class (Poetry Society website), Primary English Magazine, Speech and Drama, Poetry News (Poetry Society).